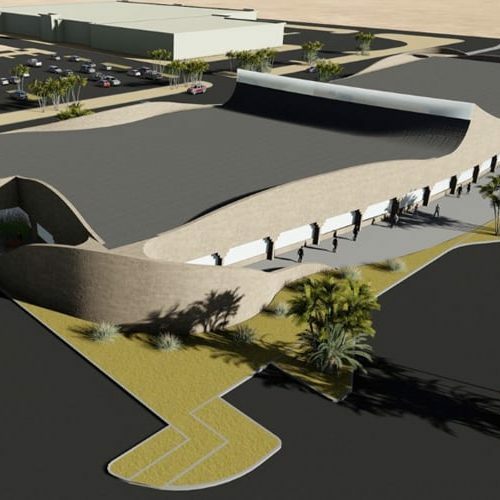 The conceptual form of the building is an organic expression of the desert environment of Arizona. 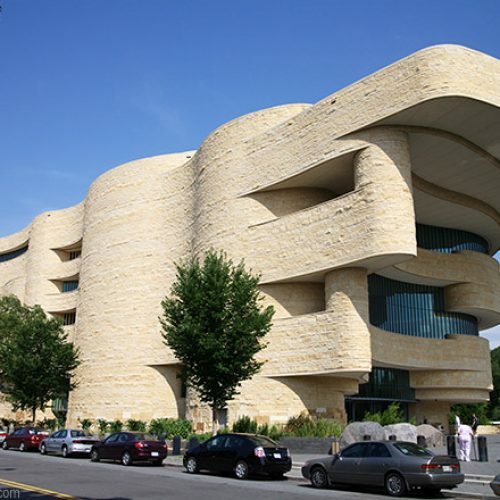 It not only represents the curves of the land, mountains and rocks, but also the living forms of the land such as the snakes, lizards and other desert creatures. 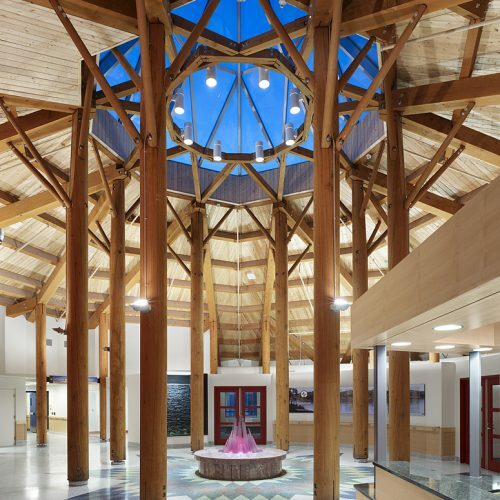 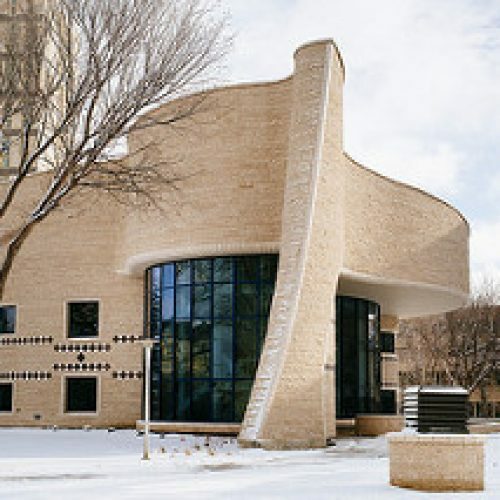 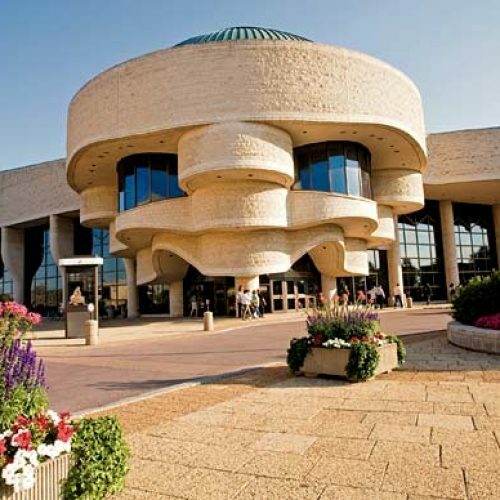 The plan of the building is based on the simple notion that the circle is the symbolic base for healing, knowledge, and equality, as well as the foundation for all Indigenous ceremonies.